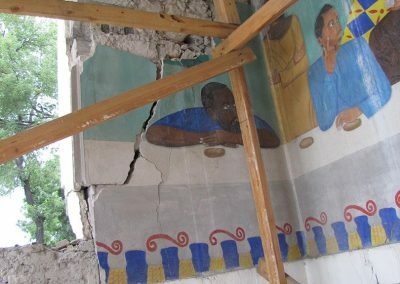 Painted in the early 1950’s, the Life of Christ murals at the Episcopal Cathedral of Port Au Prince, Haiti were masterworks of vernacular painting executed in egg tempera onto a thin film of concrete applied to a stone rubble wall. 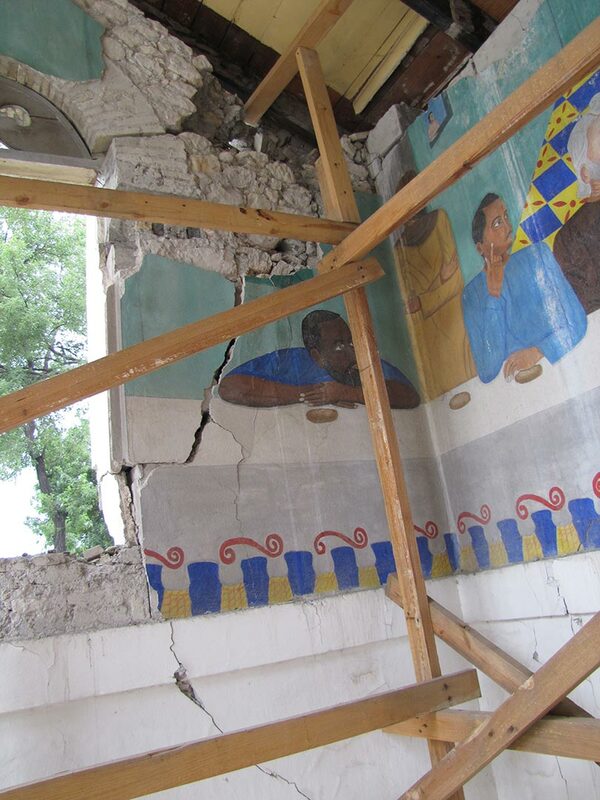 Only three of the fourteen murals survived the catastrophic 2010 earthquake that destroyed most of the Cathedral. 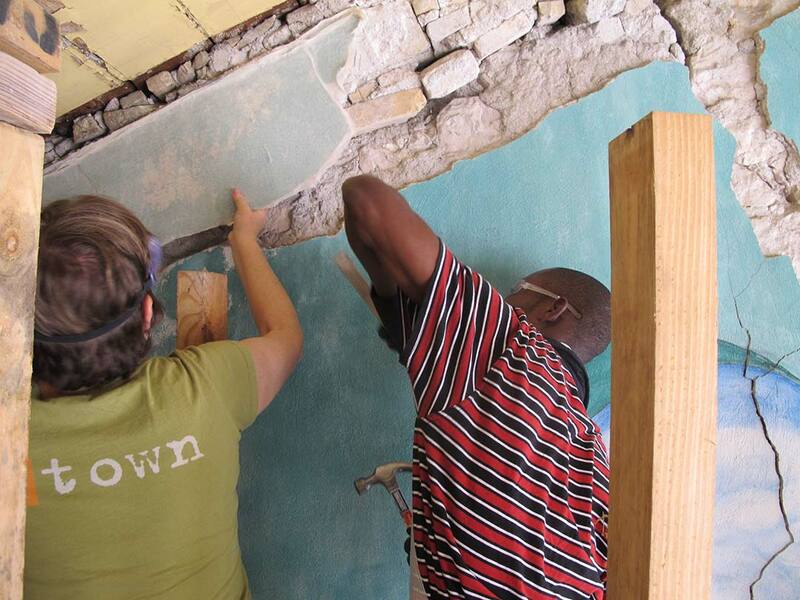 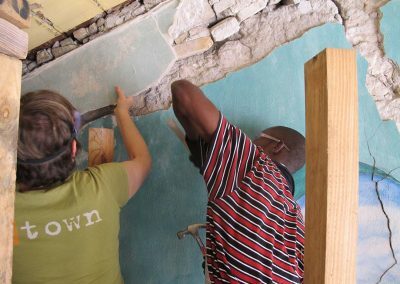 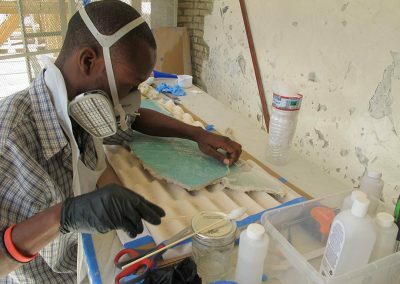 RLA was hired by the Smithsonian’s Haiti Cultural Recovery Program to undertake the salvage and removal of these murals, in conjunction with a paintings conservator. 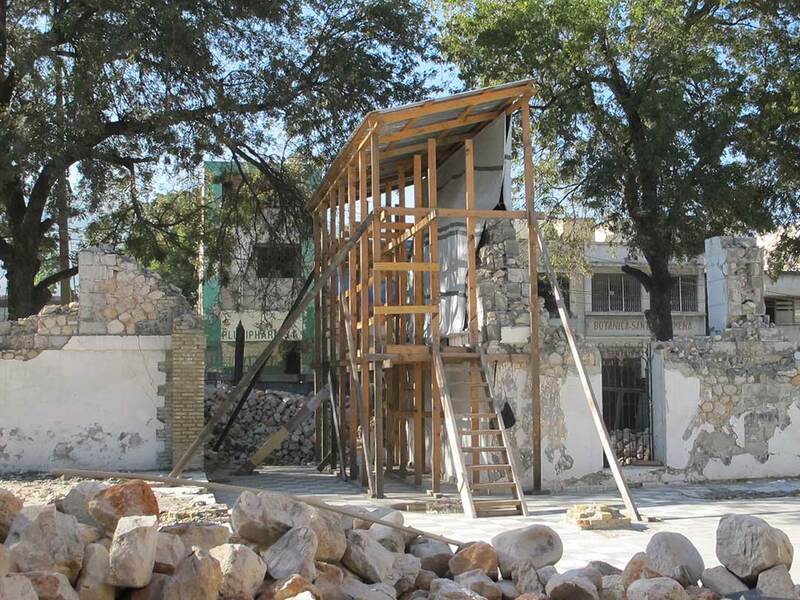 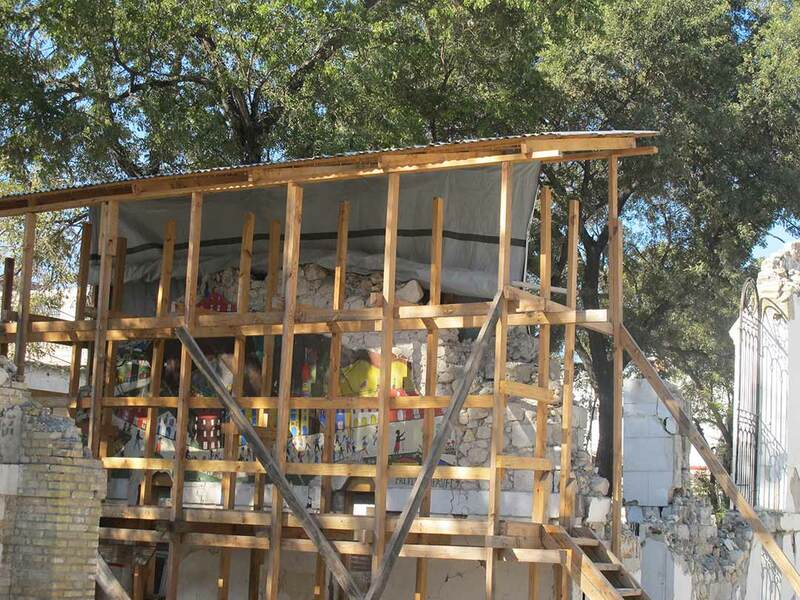 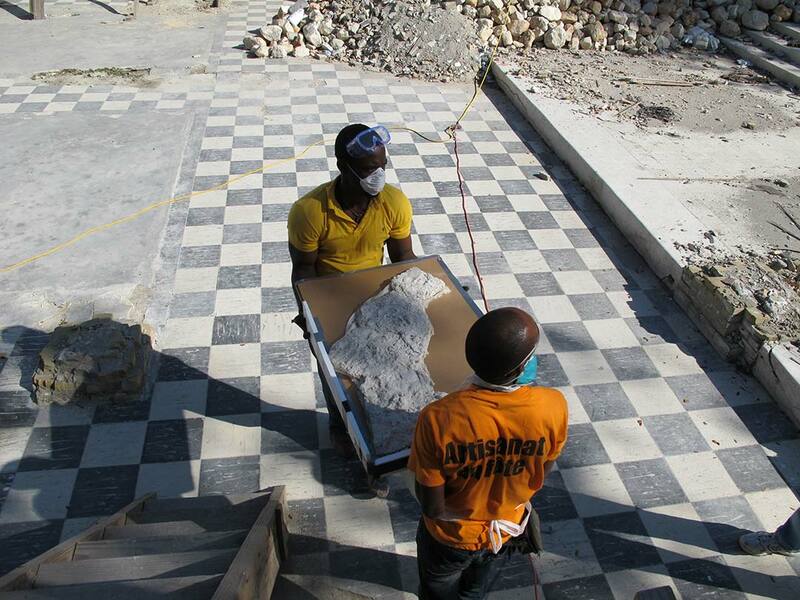 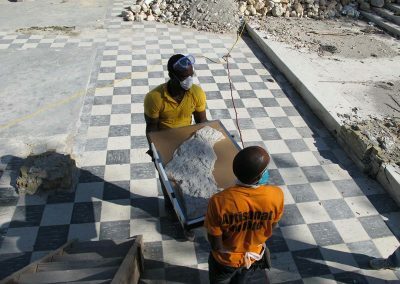 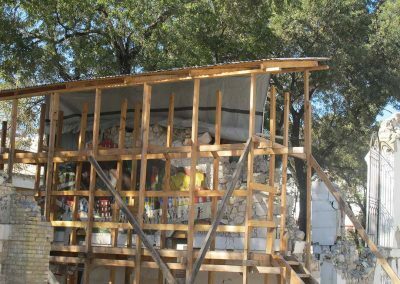 We secured the fragments before removing them quickly before aftershocks destroyed the remainder of the building. 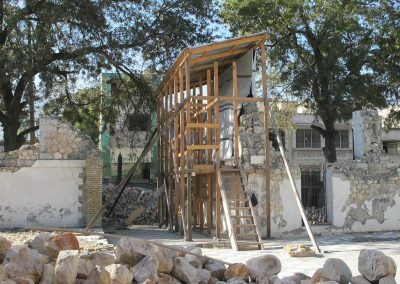 Because time was of the essence, this was accomplished while the country was still experiencing severe shortages, blackouts, and a cholera epidemic. 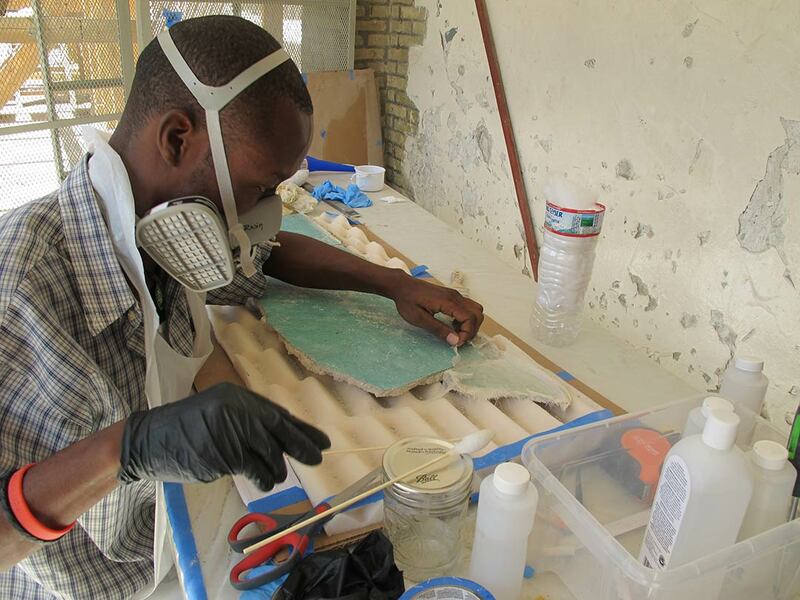 The team worked with four talented local artists, who were trained as part of the process, and two of whom presently work in the field of conservation (one at RLA.) 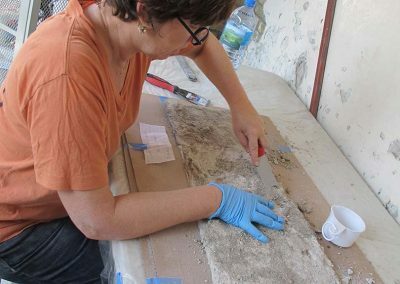 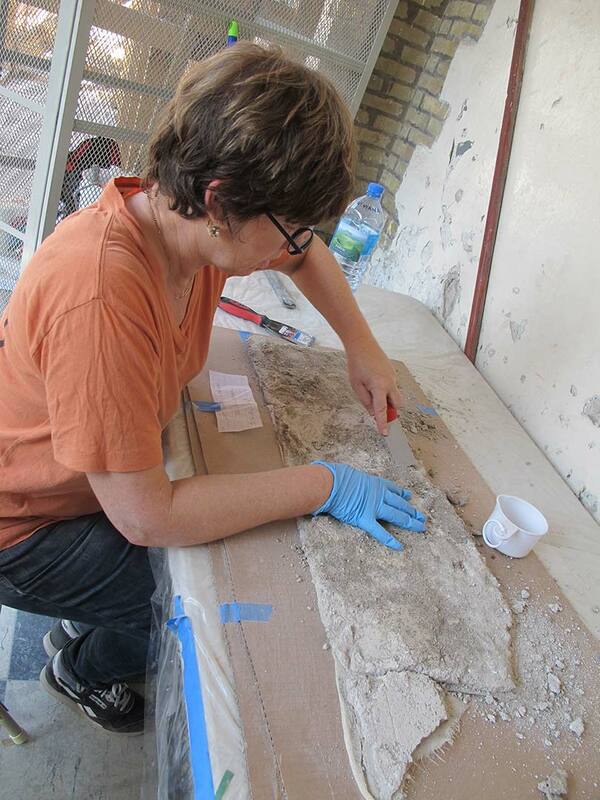 Work involved: facing the murals, cutting them to lower them by hand, making emergency repairs, and preventing mold growth while the murals were in storage. 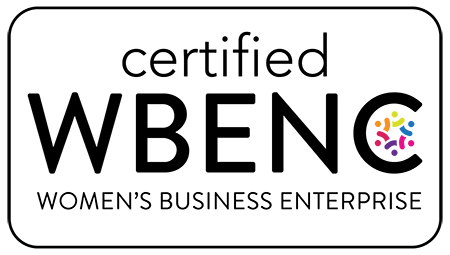 If interested, please request copies of our public record publications and reports.